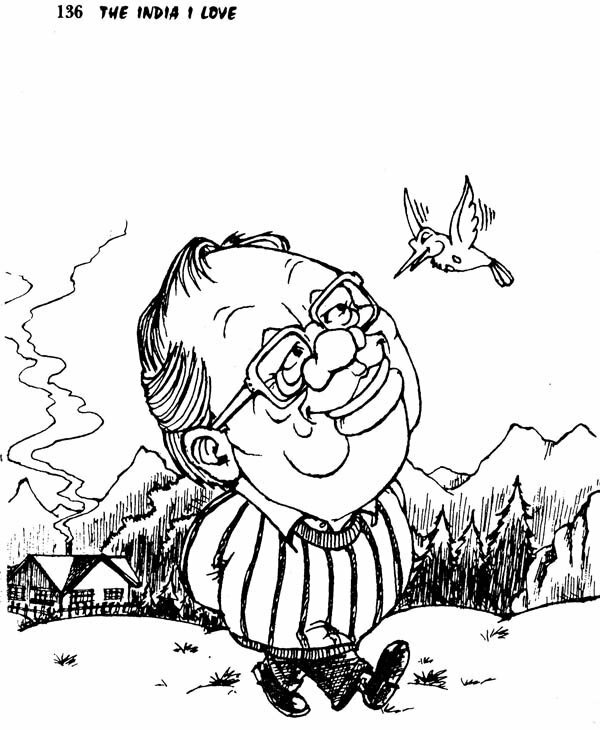 The India Ruskin Bond loves does not make the headlines. But the finds it wherever he goes - in fields of forest, town or village, mountain or desert - and in the hearts and minds of people who have given him love and affection for the better part of a lifetime. In this collection of prose and poems written specially for this book, Ruskin Bond looks back on his unique relationship with the country and its people, from the time he turned his back on the West and came home, still only a boy, to take up the challenge of being a writer in a changing India. 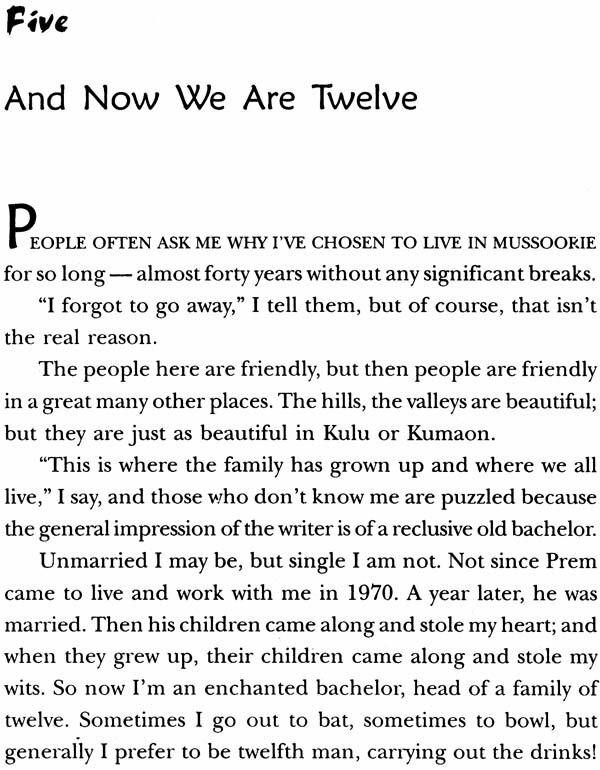 Ruskin Bond writes straight from the heart. He is at his best when writing about all that he cares for - his adopted family, his friends, his writing, the mountains, roads, rivers, and small towns that are all a part of the India he loves. The India that I love does not make the headlines. The India that I love comprises the goodwill and good humour of ordinary people: a tolerance for all customs; a non-interference in others' private lives; a friendly reciprocation at all times; a philosophical acceptance of hardships; love and affection, especially in children. That is on the human side. And there's the land itself. Forest and plain, mountain and desert, river and sea, all mean different things to me. The sea brings memories of collecting seashells along palm-fringed beaches. 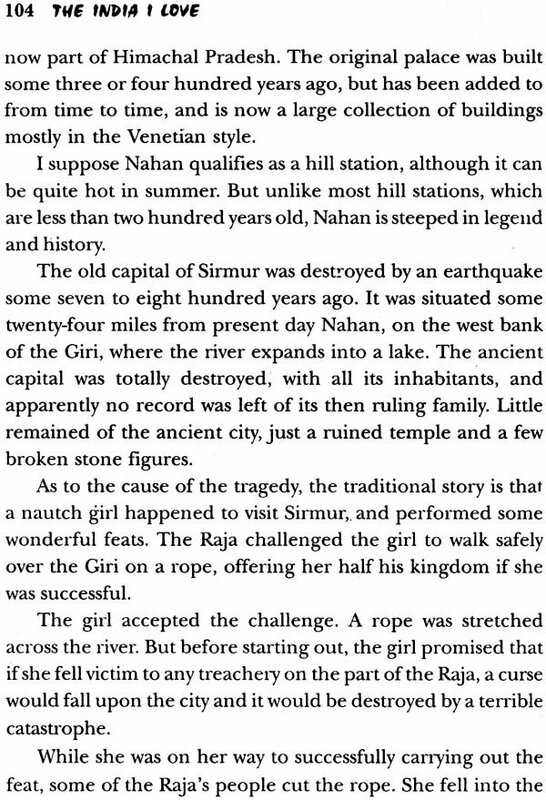 The rivers - some of them described in these pages - represent the continuity, the timelessness of India. 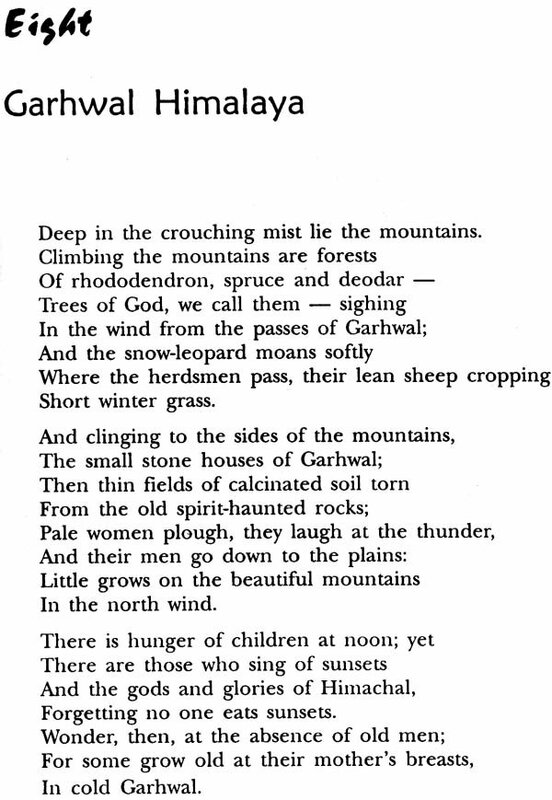 The grandeur of the mountains, the changing colours of the desert, the splendours of the forest, and the riches of the fertile plains; all these I have loved, and have attempted to celebrate over the years, in the way I know best, using the words I know best. The essays and poems in this collection will tell the reader something of what I feel for people, places and things. 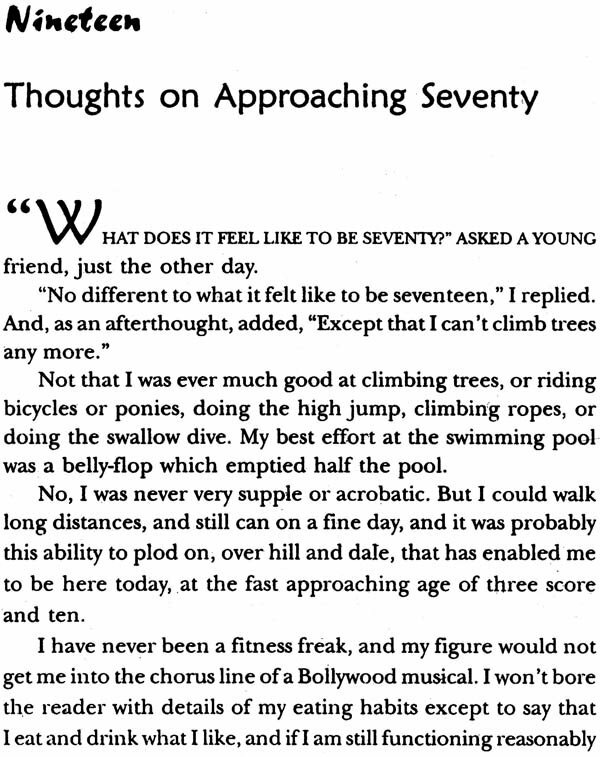 Some of those feeling emanate from my childhood, some from the present. Although I have occasionally had to cover old ground, the writing has been new, the approach still fresh and eager for love and understanding. Of the ten essays in this collection, seven were written during the last two months. There are taken from unpublished material in my journals. Most of these essays are of a personal nature; not embarrassingly so, I hope. Young Kapish Mehra of Rupa and Company wanted me to write about the family who chose to adopt me (or was it the other way round), and some of the people and places that have been dear to me. I have enjoyed writing about them, and about some of the things that have happened to me on the way to becoming (and remaining) a writer. 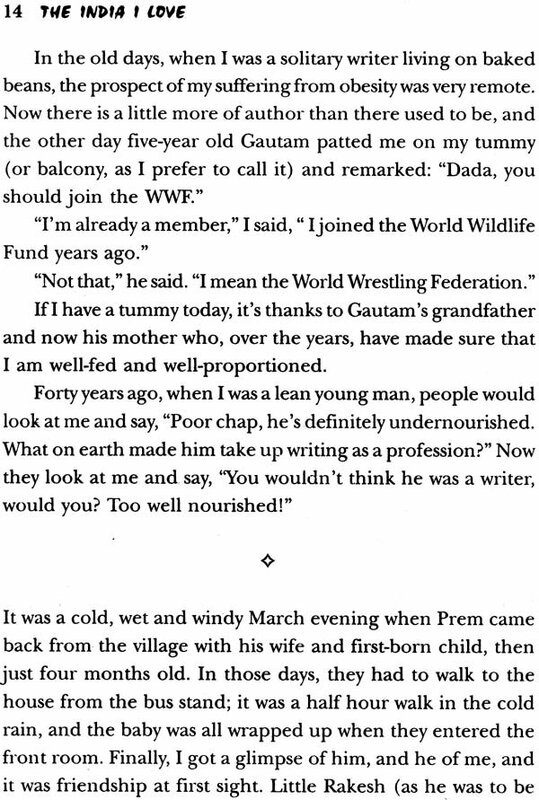 I do think I hold a record of sorts for having had the largest number of publishers, at least for a writer in India. A number of the smaller ones have fallen by the wayside - still owing me royalties, of course! Others, like Rupa, have continued to grow and put up with me. The encouraging thing is that publishing in India has finally come of age. Even in this age of televised entertainment, people are picking up books perhaps due to the wide range that publishers offer. More and more writers are getting published, and some are even making money. No longer do I have to hawk my books and stories in other lands. My readership has always been here, and now I can write exclusively for the Indian reader, without having to make the compromises that are often necessary in order to get published in the UK or USA. 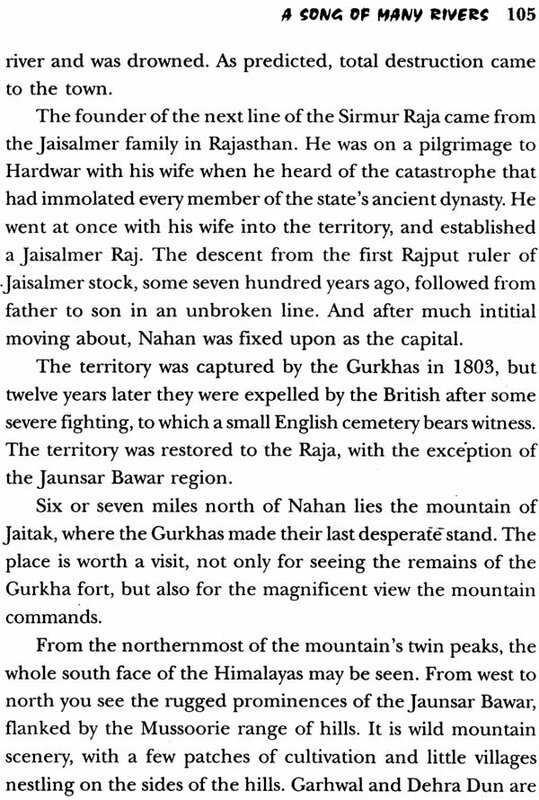 So away with sensationalism, away with the exotic East, away with maharajas, beggars, spies and shikaris, away with romantic Englishwomen and their far pavilions. No longer do we have to write for the 'foreign reader'. I can write about the people living across the road, and behold, the people across the road are sometimes reading my books. It also gives me a thrill when I find that something I have written turns up in a Hindi translation, or in Bengali or Marathi or Kannada or one of the many great languages with which this country is blessed. 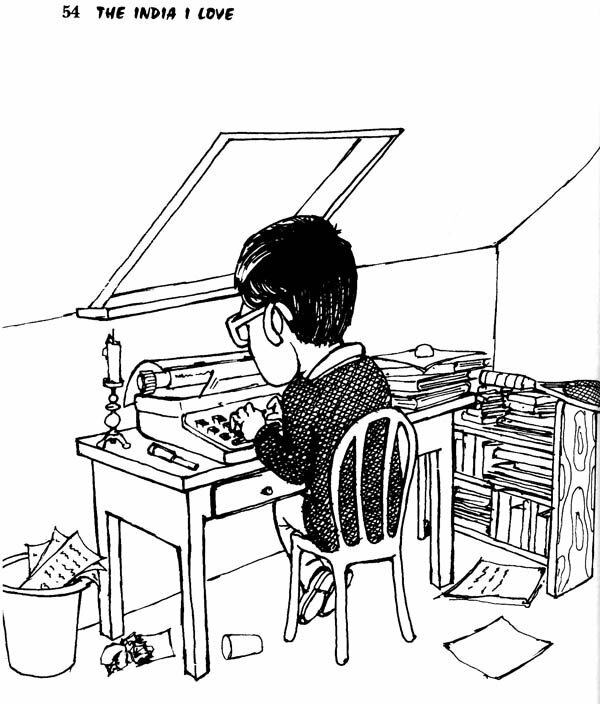 The potential for a writer is tremendous. Multilingual publishing is still in its infancy, but this creative energy has only to be harnessed and properly channeled, and a literary explosion is just around the corner. In the West, the fate of a book is now in the hands of the agents, the publicity men, the prize-winning committees, the media - almost everyone but the reader! I like to think that in India, a book can still make its way into the hearts and minds of readers without all the ballyhoo and beating of drums that goes with the release of the most mundane creations, especially those written by celebrities. I like to think that there is still a certain mystery about the success of a book; that, like Jane Eyre or Leaves of Grass, it can be ignored by the critics and publicists, and still find a niche for itself, and that you can never be certain what may happen to your creation. In other words, that the fate of a book is still on the knees of the Gods.